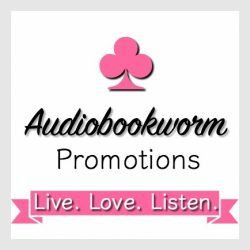 ← Audiobook Review: Beauty and the Barbarian by Amy Jarecki ~ a most swoonable listen. Middle-of-the-night phone calls weren’t unusual. Long accustomed to awakening at odd hours to all sorts of noises, Jake alertly reached for the receiver at the same time he eyed the clock. Had the operation gone wrong? “I’m in trouble, Jake.” Her voice cracked on his name. For her, he would step in front of a bullet, but she wasn’t his to protect. She was so far off limits he might as well be wanting the moon. “I . . . I can’t talk to Logan right now. I just can’t. Please, you have to come.” The words were punctuated by a sob. Jackson Kennedy Buchanan, in an attempt to be as honorable as his namesakes, opened his mouth to say no, not happening. “Are you home?” He pulled the phone from his ear and glared as if it were responsible for the decidedly inadvisable question. She’d probably had a fight with a boyfriend and needed a shoulder to cry on. Maria Kincaid—top-of-her-class law student and weeks from graduating—didn’t get in trouble. Maria Kincaid, the woman her brother had put off limits by threat of death. The boss didn’t want his sister anywhere near a man known as Romeo to his SEAL buddies. This entry was posted in New Book Release, Romance, Romantic Suspense, Suspense and tagged K2 Team Series, New Book Release, Sandra Owens, Someone Like Her. Bookmark the permalink.